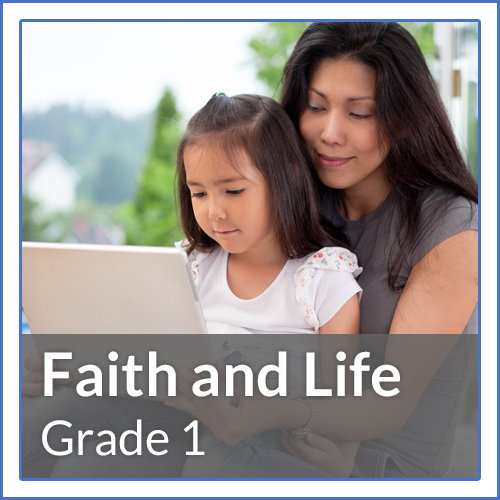 Ignatius Press’s Faith and Life Online Series offers students, grades 1-8, a thorough grounding in Catholic doctrine. 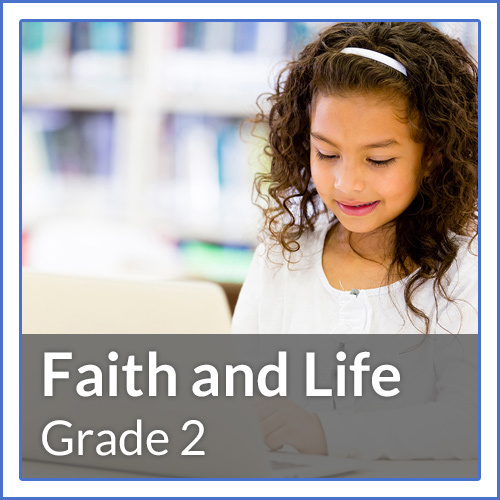 In light of salvation history, students will learn about Sacraments, morality, social teaching, and the Church’s life and mission. 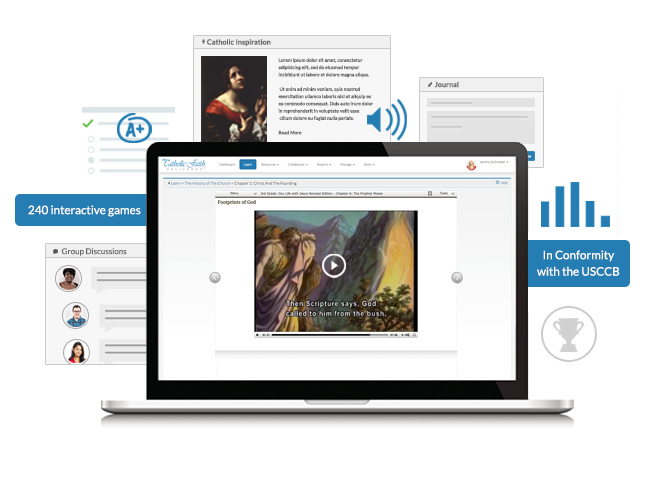 Interactive learning includes videos, games, discussion questions, reflections, links to more information, online assessments, reports, and more. 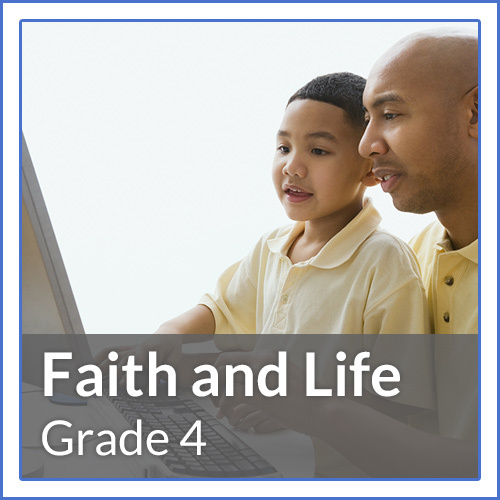 The students are introduced to the Holy Trinity through studying the development of salvation history and presentations on God the Father, the life of Jesus, and the Holy Spirit. Students are also introduced to God’s plan and their participation in God’s family, which includes Mary, the angels, and the saints. 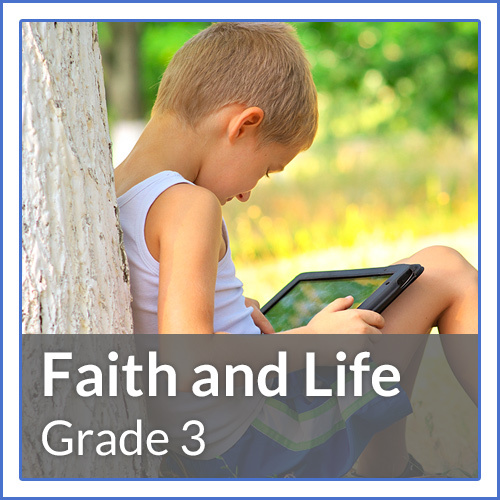 The emphasis of the first grade curriculum is for students to grow to know, love, and trust God. The students are prepared for the sacraments of Penance and First Holy Communion through studying the development of salvation history. As students learn about God’s plan of love and mercy, they begin to understand that these sacraments are God’s gift to us and that they too are part of God’s loving plan. Special emphasis is given to preparation for and reception of these sacraments, as well as learning about the Mass. Through studying the development of salvation history, students become immersed in the life of Jesus and develop a deeper understanding of God's loving plan and of how they are a part of His plan. Through studying the development of salvation history, students come to a better understanding of God, His plan for man, and our relationship with God. Students develop a better understanding of their purpose and goal in life and a deeper appreciation for the Church as the very means that God has given us on our pilgrimage to heaven. Through studying the Creed and the development of salvation history, students are immersed in the Profession of Faith. They develop a deeper understanding of each component of the Creed as it is part of salvation history. 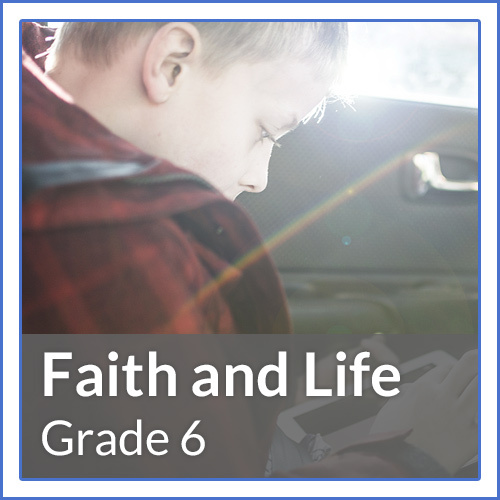 In the sixth grade, students learn about their Christian life of love, the law of God, their human frailty in following that law, and the means that God gives them to follow His law especially through graces received in the Holy Mass. By focusing the study of salvation history on typology in the Passover feast and the Last Supper, the students are brought to a deeper understanding of the Eucharist. The sixth grade six concludes with a study of the last things in light of God’s mercy and our hope for heaven. 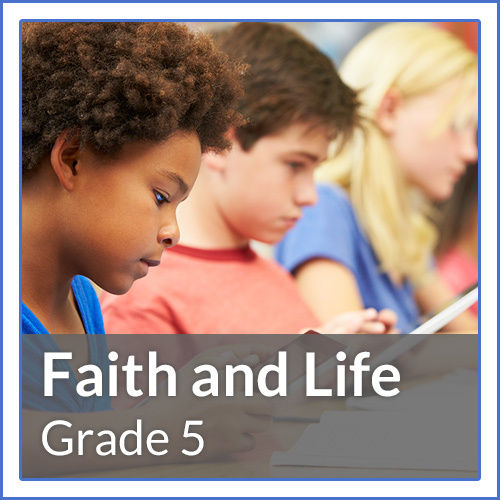 Students learn about God’s loving gift of revelation through creation, the prophets, the Incarnation, and the Church. Grace is understood as being central to our relationship with God because it unites us with Him and allows us to share in His eternal life. 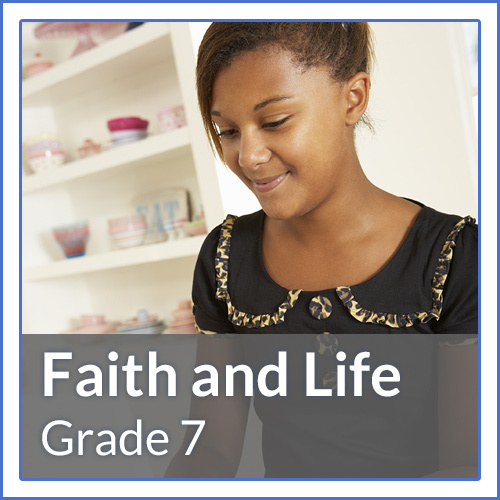 The seventh grade places special emphasis on the role of grace in the seven sacraments and in developing the virtues. 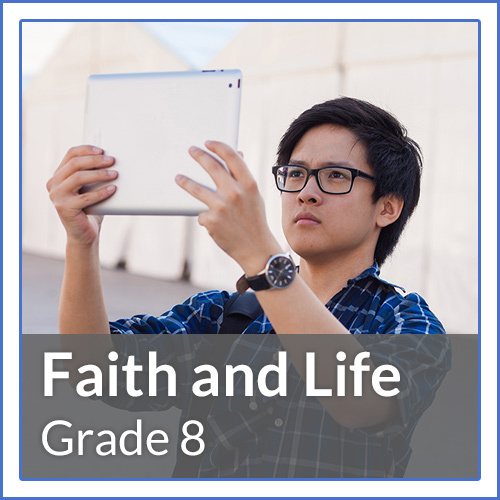 The eighth grade covers the history of the Church – its founding by Christ, its birth and life in the Holy Spirit, the marks of the one true Church, the Fathers and Doctors of the Church, the saints, and the role of religious communities in Church history. Also covered is the structure and hierarchy of the Church, the Magisterium, clergy, religious, and laity. Students come to know and love the Church as Christ’s Body, to better understand the nature of their life in the Church, and to respond to the teaching of the Magisterium as the sure voice of Jesus, strengthening their lives in the Church and leading them to discern their specific vocations and to live lives of Christian holiness in the world today.